Certainly a game of two halves with Galway testing Dublin for the most part of the opening session but by the final whistle it was the boys in blue who were leaving Croke Park as All Ireland football finalists once again. And Sam Maguire is waiting once again. Shane Walsh’s additional time goal looked too easy for Galway but it served only as a consolation, with Dublin ending the day 0-09 the better. A Paul Mannion point and two frees converted by Dean Rock had Dublin taking the upper hand early but Damien Comer found the net seven minutes in to cancel them out. 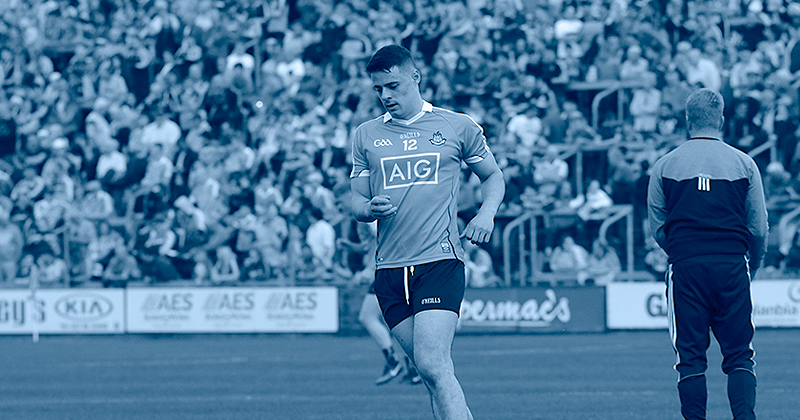 Comer took the opportunity when Stephen Cluxton approached from his line to rise above a couple of Dublin defenders and direct a powerful punch to the net. Pressure was loaded onto Dublin again when Comer was fouled in the square for a penalty. Brannigan’s attempt into the bottom corner was repelled by a finger tip save from Cluxton. And the resulting ‘45 was curled wide by Shane Walsh. The Dubs regrouped with Kilkenny, Fenton and Rock all pointing. Ian Burke put a sweet point over, with Walsh converting two frees to draw Galway level if only for a fleeting moment. A Dublin attack down field toward the Hill 16 end resulting in Niall Scully sending the ball goalward with Con O’Callaghan on hand to Palm the ball into the net. Heading for half time Dublin were in the driving seat but Galway gave themselves a lifeline with Walsh and Burke helping to close the to just two scores. Trailing 1-09 to 1-07, Galway really needed the better start to the second half to remain in the hunt. Dublin registered the opening two scores before Thomas Flynn kicked a fine point for the Tribesmen. By the 46th they were only three behind Dublin but sadly that’s as close as they would get for the remainder of the game. 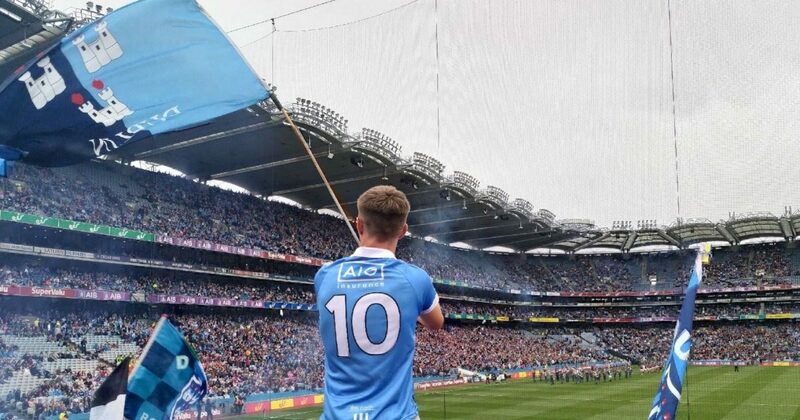 Entering the final quarter Dublin were 0-05 as they emptied the bench, bringing Cormac Costello, Kevin McManamon and Paul Flynn into the frey. And they all clicked, adding 0-06 to Dublin’s tally. Gavin’s charges continued to covert scores, sending over 6 points between the 65th and the end of the 4 minutes additional time. Galway couldn’t stay the pace and despite Shane Walsh finding the net, it was never going to be enough. Dublin now once again advance to an All Ireland Final. Tomorrow they’ll hopefully find out if they’ll face Monaghan or Tyrone.